An inter-faith conversation between best-selling author Eric Metaxas and syndicated radio show host Dennis Prager about Scripture, morality, and the current state of American culture, hosted by Pastor Lutzer at The Moody Church. The evening will feature candid, engaging conversation between these three prolific voices in the public square on topics of faith, culture, and the fate of our nation. Seating is general admission at $25 and doors will open at 7:00pm. A limited number of VIP tickets are available for $75, and include a 6:30pm reception at the church with the featured speakers. Tickets and additional information are available online, or via phone at 847.840.5535. Eric Metaxas is the author of the New York Times #1 bestseller Bonhoeffer: Pastor, Martyr, Prophet, Spy, which was named “Book of the Year” by the Evangelical Christian Publishers Association (ECPA). Metaxas was the keynote speaker at the 2012 National Prayer Breakfast in Washington DC. Metaxas is currently the voice of BreakPoint, a radio commentary broadcast on 1,400 stations with an audience of eight million. Dennis Prager is one of America’s most respected radio talk show hosts. He has been broadcasting on radio in Los Angeles since 1982. The Dennis Prager Show began national syndication in 1999 and airs live Monday through Friday, 9:00am to Noon (Pacific Time), from his home station, KRLA. He is a Jewish author and public intellectual, having taught the Hebrew language and Pentateuch at the college and seminary level. 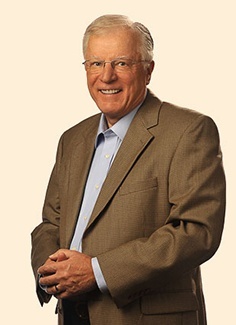 Dr. Erwin W. Lutzer is an evangelical Christian pastor, teacher and author. He is currently the senior pastor of Moody Church, in Chicago, Illinois. His daily radio program “Running To Win” can be heard on Christian radio stations around the country. He is the author of more than 30 books. For more information or to register, please visit ahashtagproduction.com. This event is produced by Hashtag Productions.